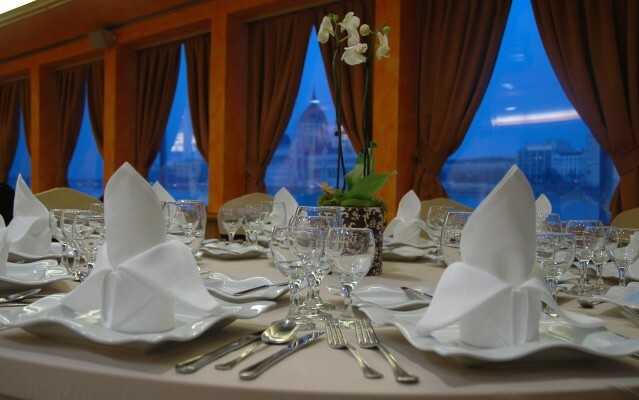 Weddings, conferences, product demonstrations, exhibitions, theatrical events, banquets, corporate events: organize whatever you want the rooms of Europe Ship are suitable for every event. This event ship is the biggest and most equipped fluvial event venue not only in Hungary but in all Central Europe. 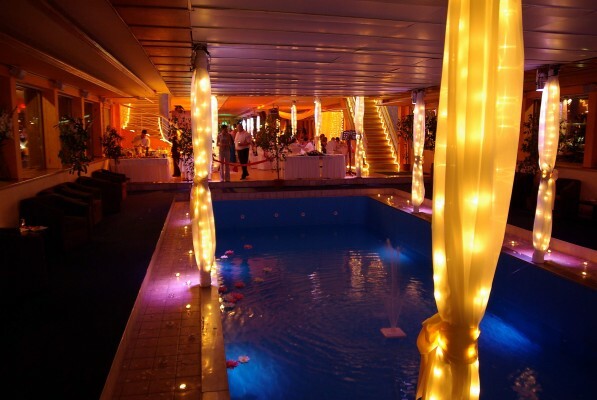 It has unique technical and catering services, separated rooms, dressing rooms, smoking area and a 330 sq m terrace. 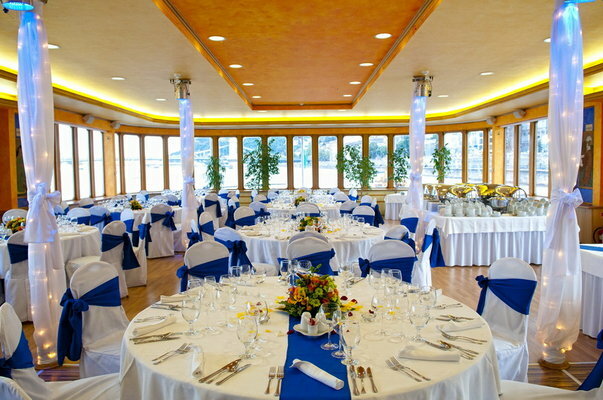 There is an open space of 660 sq m on the first floor and with the two rooms upstairs 650 people can take seats in the same time and 1000 people can be catered during a standing reception. 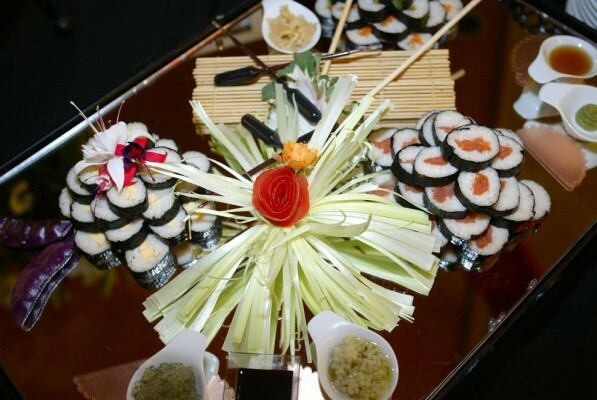 The quality of catering service is guaranteed by the Michelin star german chef and the professional staff. 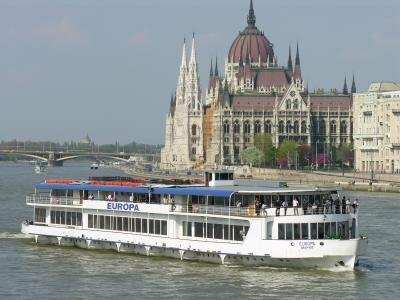 The pleasant symphony of orange and blue colors gives the Európa Ship an elegant and stylish look. 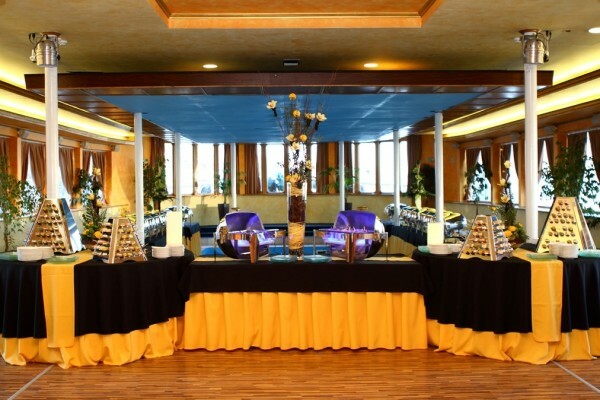 In addition, light colored floor and wooden paneling gives a truly exclusive atmosphere for our guests. 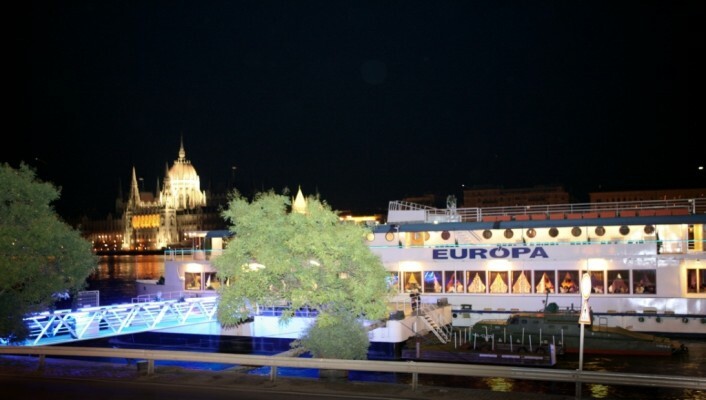 You can enjoy the wonderful view of the Danube from the huge terrace of the Europa Ship. 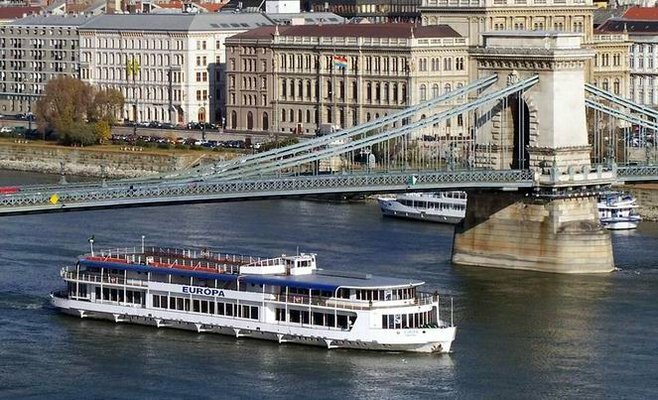 It will give you an impressive experience as you can see Budapest in a more beautiful way than from anywhere else in the city. 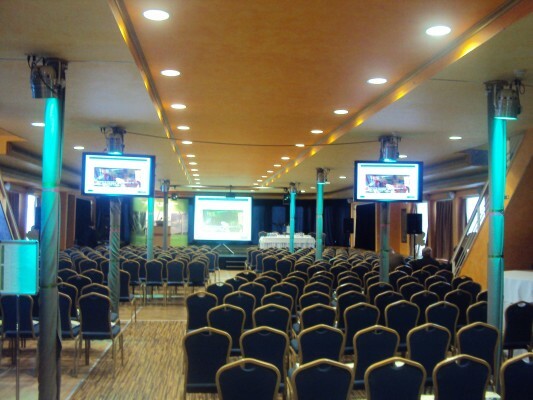 The two rooms upstairs can be furnished even for governmental delegations because of the engaging environment and our technical background. 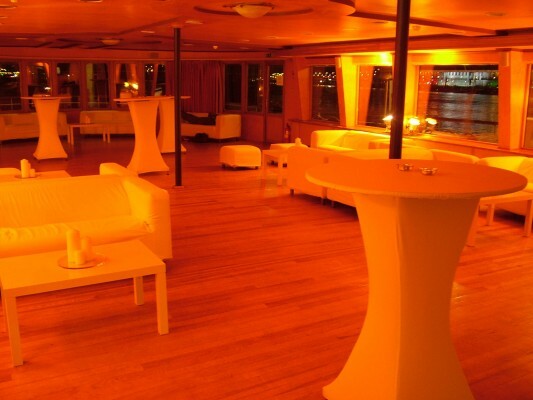 Európa Event Ship is like a real chameleon – it changes itself until your event looks exactly like you imagined. 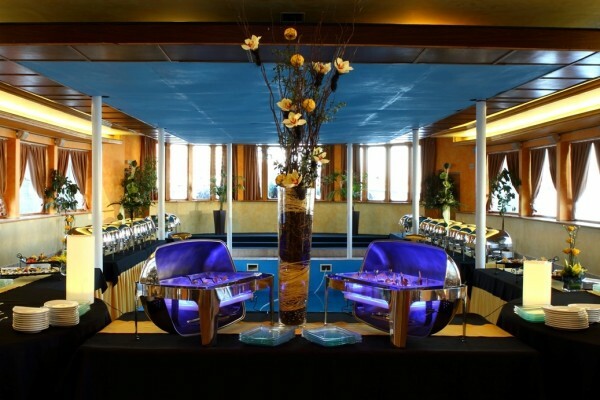 You can trust yourself on a professional staff who dreams the decoration and style that fits mostly to your occasion. 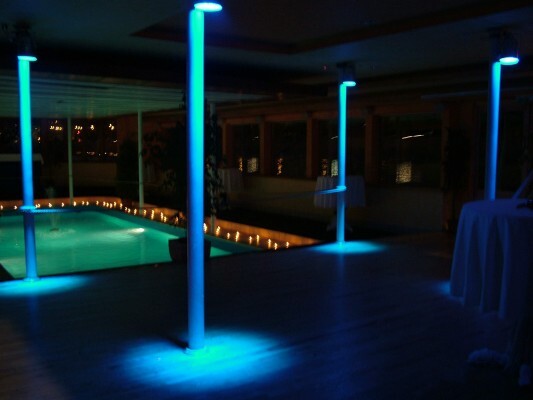 If you would like we can use the colors of your company but your event can be decorated with special light effects (Visual DJ) as well. 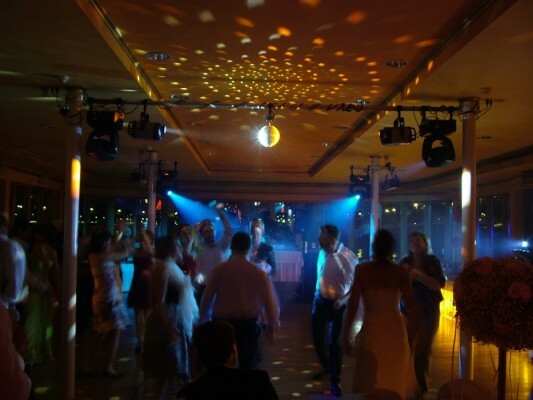 Great sound engineers provide the perfect sounding and their technology ensures you to enjoy the music in the best quality wherever you are on the ship. 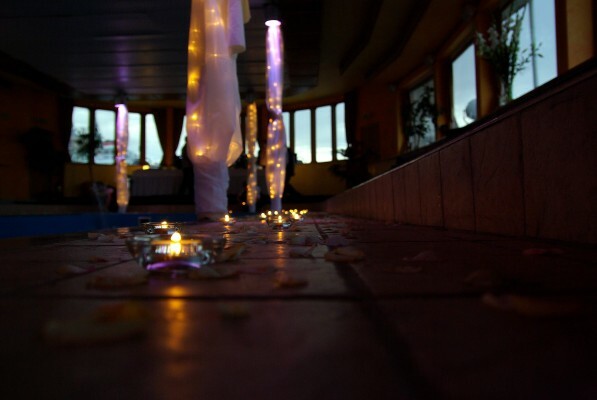 We are proud of our specialities including that the whole ship and port is clear for disabled guests as well. 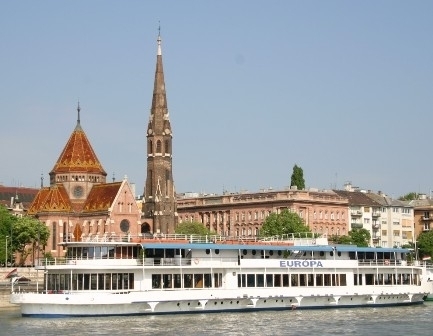 They are welcome on the Európa conference ship like anyone else. 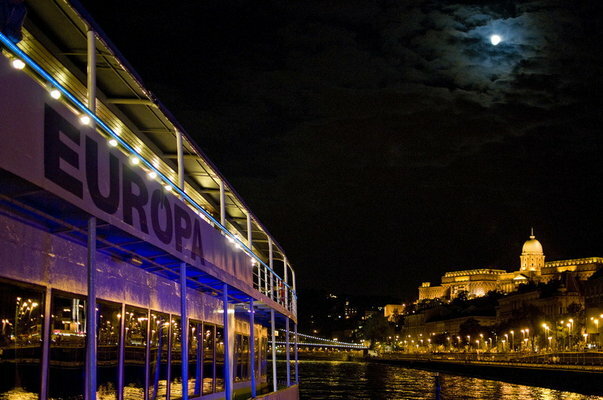 And one more example for our uniqueness: something impossible on other ships is possible at Európa – to travel between floors easily we have an elevator (for 8 persons).